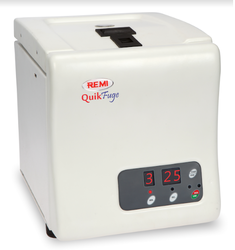 Bestowed with vast knowledge, we are offering a premium quality gamut of Lab Deep Freezer. Lab Deep Freezer -20 Degree Celsius, 12 Cu. Ft.
- Capacity: 12 Cu. Ft. The Ultra Low Freezer Model No. ASLFare specifically designed and are suitable for research laboratories, blood banks, biological and industrial applications. The Ultra Low Freezer are high tech cooling system giving advantage to the users of rapid pull down of temperature up to - 80°c. These Deep Freezer are generally used in Microbiology, Virology, Pathology, Food Research Laboratory, Biotechnology etc. It has been designed to maintain constant temperature at set temperature. 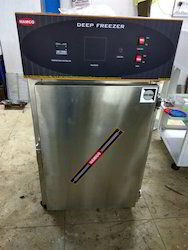 We offer plasma freezers that are designed for quick freezing and storing of plasma and related blood components at desired low temperature as low as -40°C /-80°C. These are known for their precision designs, low maintenance and ease operation.